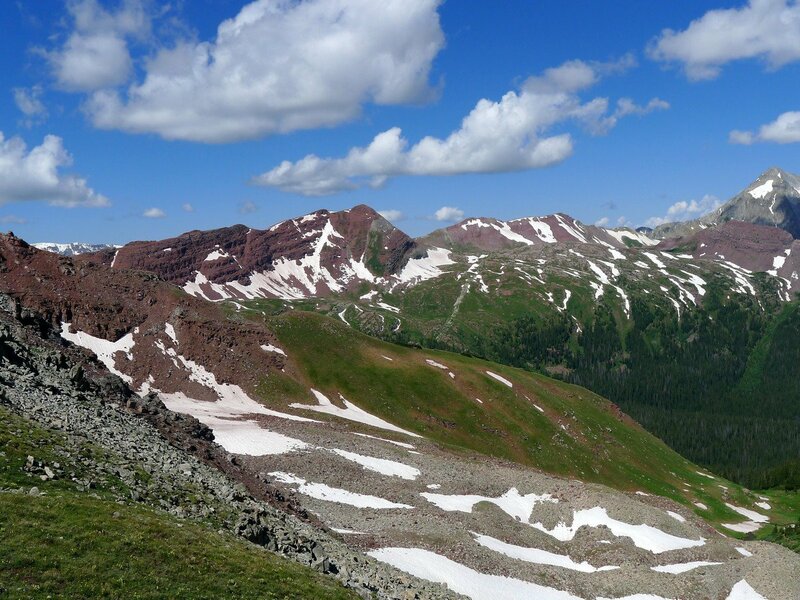 This hike starts from one of the most photogenic lakes in the entire Rocky Mountains. The gruelling climb up to Buckskin Pass is definitely worth the effort. From its lofty heights you will be completely surrounded by panoramic views. Head west out of Aspen along Colorado 82. At the first traffic circle take the second exit onto Maroon Creek Rd. Continue along Maroon Creek Rd for 15.1km until you reach the parking. From the parking area, or the shuttle drop off point, head down to Maroon Lake. The view across Maroon Lake with Maroon Peak in the background is stunning. It’s one of the most photographed shots in the Colorado Rockies, so enjoy this absolutely stunning vista before starting the work ahead of you. Continue around the north side of the lake. At the end the lake the trail will begin to climb gently. For another mile or so you will gently gain elevation through sparse trees before you arrive at a junction. Turn right (north), heading up along the Geneva Lake Trail towards Buckskin Pass. The true climb begins here. You’ll pass over a few switchbacks, traverse to the west for a spell, and then you’ll switchback again. For the most part, you’ll follow one of the creeks that feed Crater Lake. After climbing for a ways, you will emerge from the trees into a stunning alpine basin. 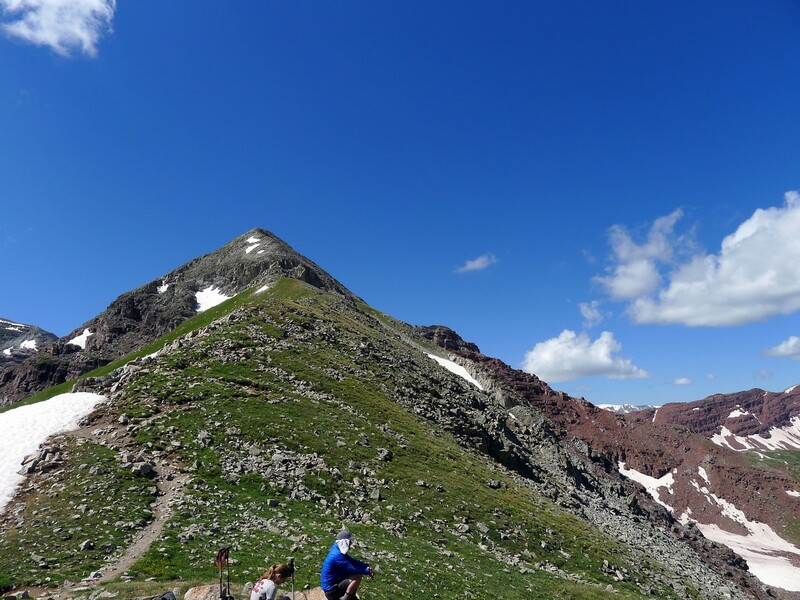 To your left you will see the humongous massif of North Maroon Peak, a notoriously deadly peak due to the loose mudstone that it’s made of. To your right you will look up to an unnamed, nearly 3962m mountain summit. Heading directly up the basin you will soon approach the steep flanks of Buckskin Pass. Snow can linger here late into the season, so take care. Switchback up the steep slopes to finally gain the ridge and the unbelievable views it holds. The most beautiful sight from the pass is across to Snowmass Mountain (4295m). Snowmass looks as though it has been directly transported from the steep granite cliffs of Patagonia. Below it, you might be able to glimpse the crystal clear Snowmass Lake. To your right you will be able to see Buckskin Point as well. Finally, after resting your legs for some time and enjoying the splendor of the view, return the way you came. Thunderstorms are common in the afternoon, so be sure to be off this high pass before the storm clouds roll in. 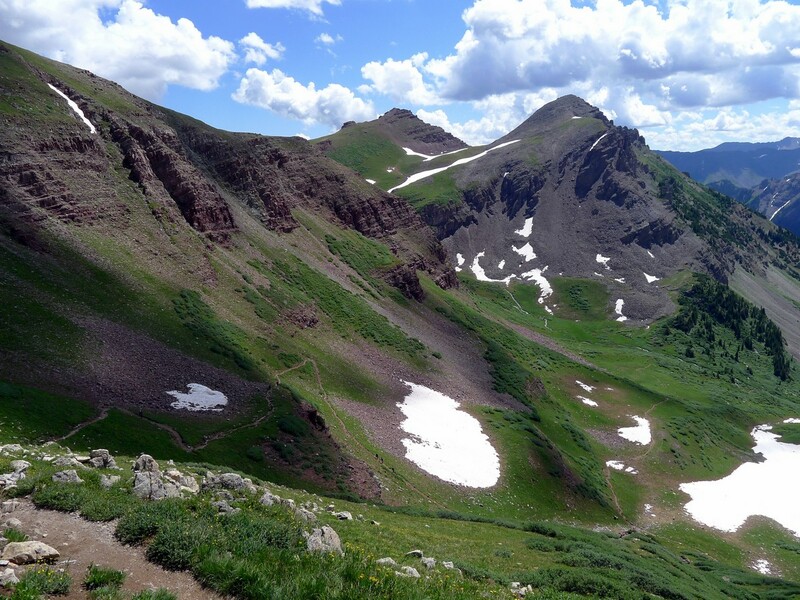 If this is your only experience in the Maroon Bells area, make a detour to enjoy Crater Lake on this hike. 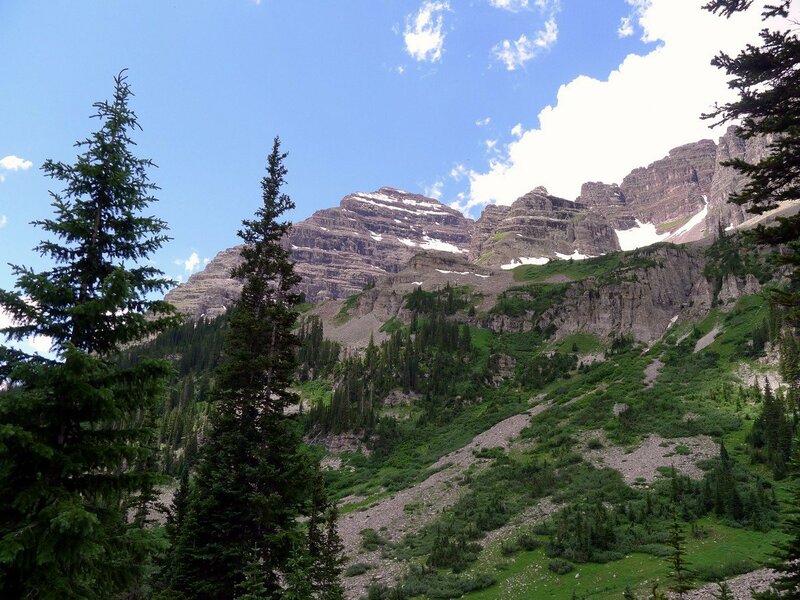 At the Y junction past Maroon Lake, head left instead and hike the short path to the incredibly beautiful alpine lake at the foot of North Maroon Peak. 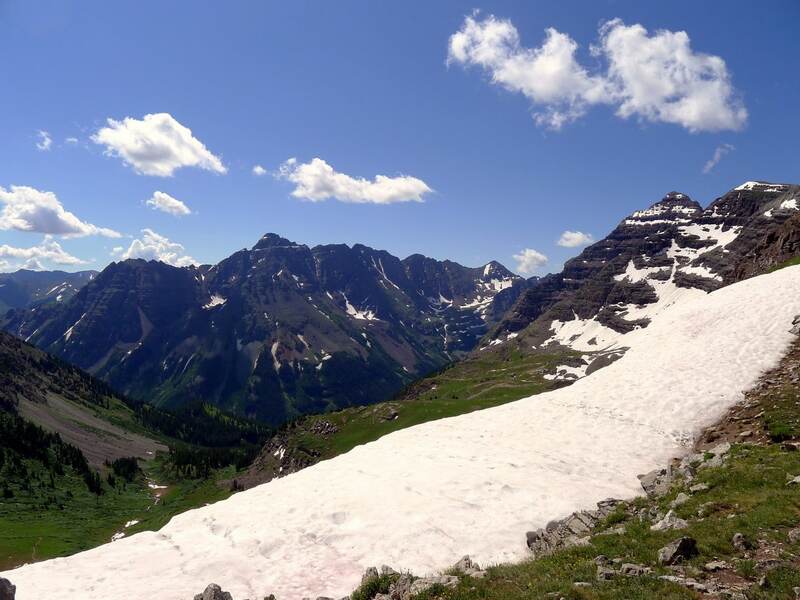 For the more adventurous, consider undertaking the entire Four Pass Loop, one of the best backpacks in the Rocky Mountains. Buckskin Pass is either the first or last pass in the loop; depending on which direction it is completed. A fee is required to enter this section of the park, or a National Parks Pass. 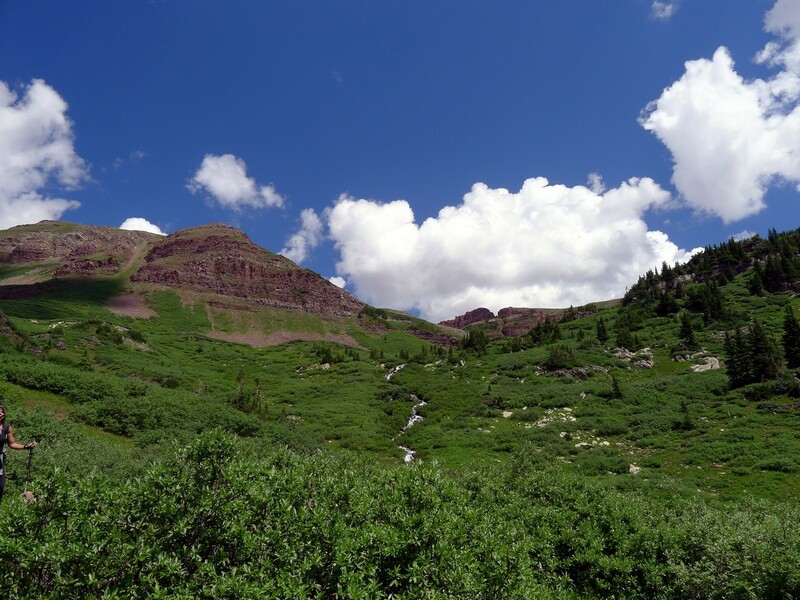 Note that for most of the summer, Maroon Creek Rd is closed from around 8a.m.-5p.m. If that is the case, you will have to take the Shuttle from Aspen Highlands Ski Area. Contact the National Forest Service for more information on the shuttle.